Section Goal: In this section, you will learn the difference between budgeted cost, ideal cost, and actual cost. You will also learn how to calculate your ideal cost and the importance of comparing ideal cost to actual cost. Budgeted Cost – Cost stated on your budget. The cost every bar manager is trying to beat to keep their job. Many different methods can be used to arrive at this number. Most hotels’ budget numbers are based on historic numbers or industry estimates and are adjusted based on foreseen changes in the upcoming period. Ideal Cost – Cost calculated based on a bar’s drink mix sold in a given period assuming that all drinks are accounted for correctly and all drink recipes are followed. Ideal cost is the lowest and best cost possible based on the types and number of alcoholic beverages sold. If the ideal cost is normally higher than budgeted cost, then the budgeted cost is likely set too low. Most hotels only compare the actual cost to the budgeted cost. We recommend you compare the actual to the ideal so you get a true measure of how you are doing. Remember, the budgeted cost is often just a magic number someone picked from the sky. As a bar’s served beverages shifts towards more higher or lower cost beverages, the bar’s ideal cost will, in turn, get higher or lower. The ideal cost is a much more accurate assessment than the budgeted cost of what your actual liquor cost should be. We have seen actual costs range from 15 percent (hotels with lots of banquet functions) to 25 percent (hotels that sell more wine than hard alcohol). Desired time period’s alcohol sales sorted by item. Actual cost per pour/serve for each alcohol item (not percentage). Total alcohol sales revenues for desired period. 4. Add up the total actual cost per pour/serve of all alcohol sales for the period. 5. Divide the total actual cost (#4) by the total actual revenues for the period (#3). Actual Cost – Official cost for a given period based on purchases. This is the number used in comparison with budget to determine successfulness in a certain period. It is calculated by dividing liquor purchases for the period by the total liquor revenues for the period. Strategically purchasing liquor can sometimes help beneficially alter actual cost, but beware, it will always catch up in the long run. Actual cost is best used when compared to ideal cost. For example, if actual cost is always under budgeted cost, a bar may appear to be doing very well. However, if the ideal cost is lower than both budgeted and actual cost, then the budget is likely set too high and the cost successes of the bar should be reevaluated. Take some time to calculate your ideal cost and compare it to your actual cost. Knowing these numbers will really help you control your costs and increase your profits. 3. Calculate the amount of missing revenue by multiplying the variance between your ideal cost and your actual cost. Example: if your ideal cost is $800 lower than your actual, multiply the $800 by 5. That represents $4,000 in missing revenues. That means your hotel lost out on $4,000 in revenue as a result of overpouring, poor inventory controls, or internal theft. 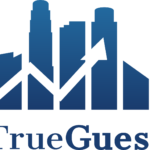 This online training guide ‘Getting Your Beverage Cost Under Budget’ was created by TrueGuest. Give us a call today to take advantage of our Mystery Shopping Services!